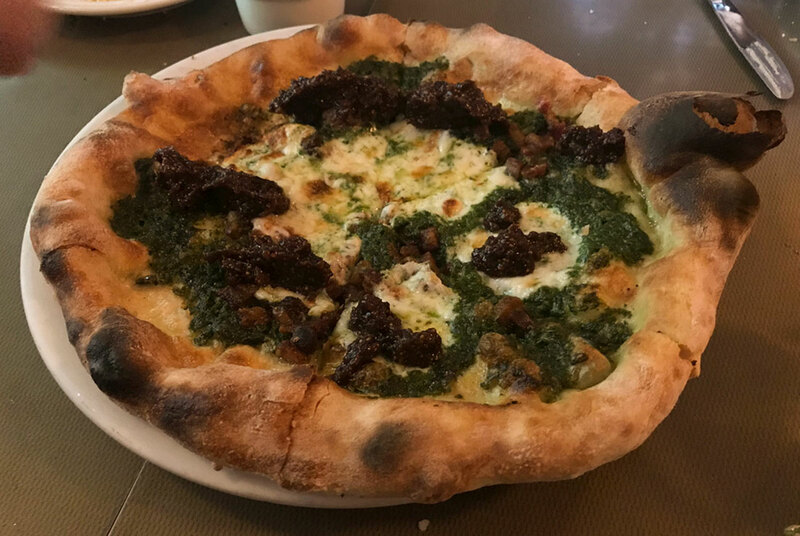 Above, Fig and Pig Pizza at Eva restaurant in Salt Lake City, Utah. 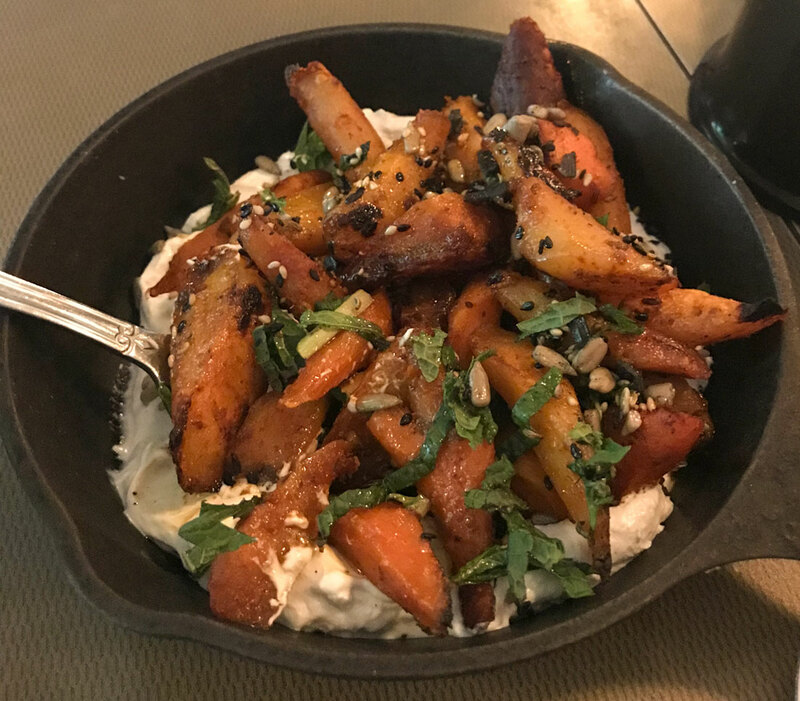 One of the frustrating things about eating out is getting too much of what you ordered and not getting to taste the divine-looking dish the person sitting across from you ordered. Eva, a cafe in downtown Salt Lake City, Utah, admirably solves that problem. Eva serves its food family style so that everyone at a table can taste everything, making the meal an interesting advanture. Charred beets with goat cheese and mint. 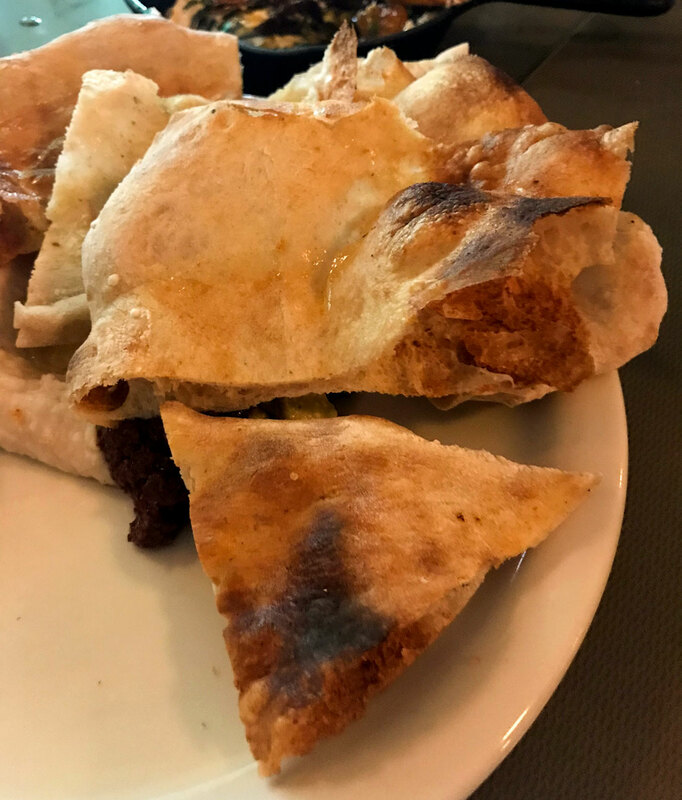 Flat bread, among the most delicious I've ever had. 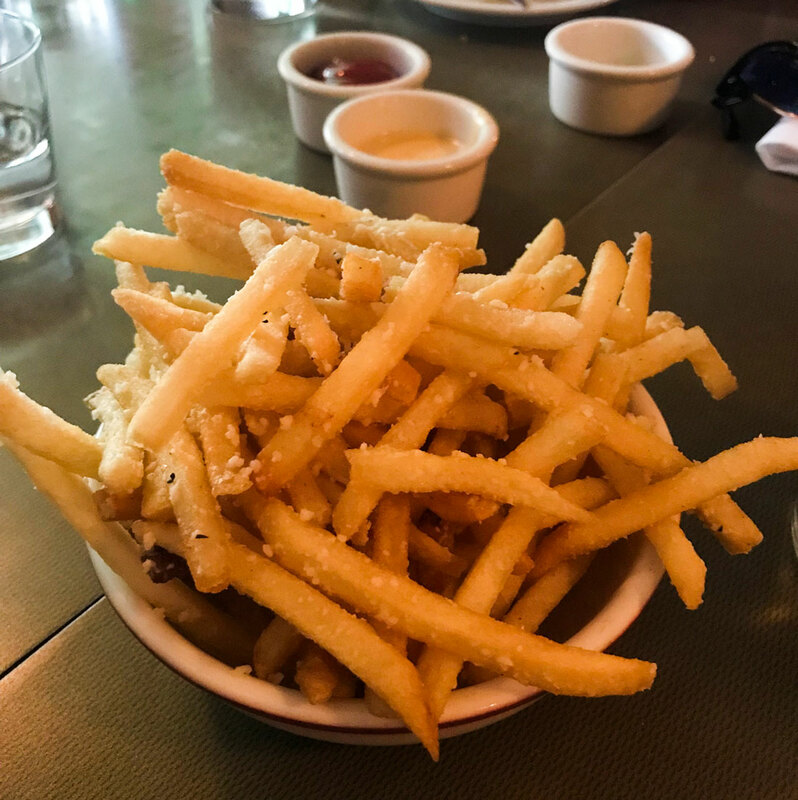 Fries with Parmesan, rosemary and garlic. 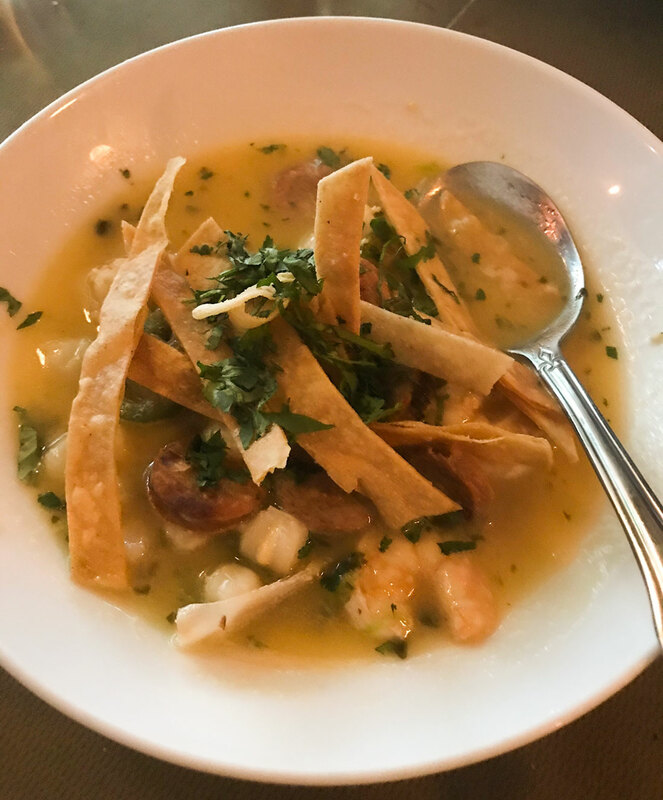 Shrimp and hominy with chorizo and tomatillo butter. 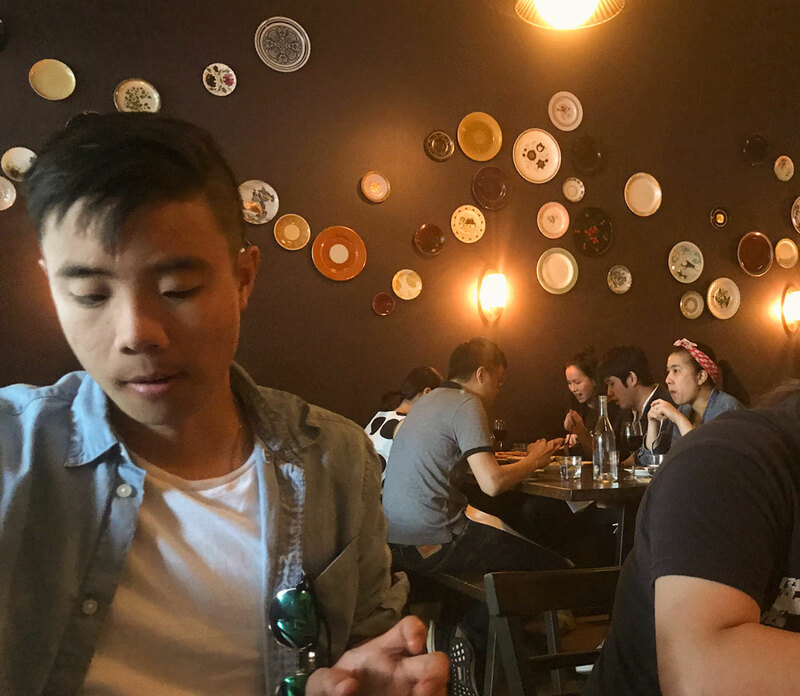 The cafe is tucked in a narrow space and decorated simply with plates on the painted walls. The emphasis is definitely on the food, which is just where we like it.